Soundproofing materials without the proper installation accessories are like new toys without batteries – no fun and generally useless. Our high-quality line of installation adhesives, sealants, tapes, primers, mounting pins and supports get your sound absorption materials prepped, stabilized and stuck where they’re supposed to be. Many of them can also help to further reduce the transmission of sound. Whether you’re soundproofing a commercial recording studio or a home theater room — or anything in between — the right installation products are essential to getting the most use out of the advanced materials we sell at Soundproof Cow. That’s why we’ve taken care to offer an extensive inventory of high-quality, easy-to-work-with brackets, adhesives, mounts and more. Check out our full selection of soundproofing installation products below. Acoustical mounts: Acoustic mounts are soundproofing installation fixtures that hold insulation products in place. We sell two main types of product. Our friction-fit insulation supports are easy to install permanently in an unfinished wall or ceiling. 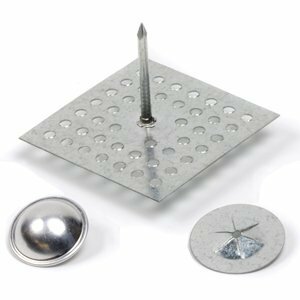 Hanger pins, on the other hand, offer better overall flexibility and are more suited for use with temporary or removable insulation. Acoustic sound sealants: Acoustical sealants are soundproofing aids used to prevent sound flanking and drafts. They can be used in both exposed and unexposed walls and acoustic partitions systems. Typical applications include sealing up cracks around air conditioner ducts, door sills and other places where sound can bleed into a room. 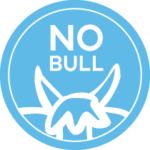 Our products are water-based, low-VOC and nonflammable, while remaining durable enough for heavy-duty applications. 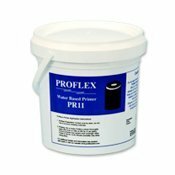 Soundproof primer: Use our soundproof primer to lay the ground for the installation of soundproof flooring products such as our PROFLEX™ 90. Our soundproof primer rolls easily on to both wood and concrete substrates, is waterproof, nonflammable and fully suitable for either indoor or outdoor applications. 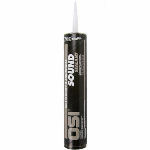 Soundproofing adhesive: Soundproofing adhesives will permanently glue sound absorption materials to wood, metal, drywall, concrete, masonry, brick and OSB surfaces. 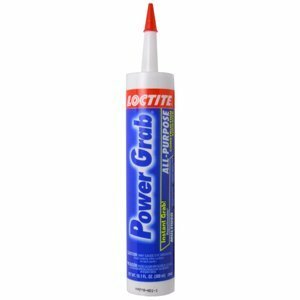 A quick and easy alternative to other soundproofing installation products, our adhesives cure within 24 hours of application, forming a strong bond that holds your soundproofing materials firmly in place. 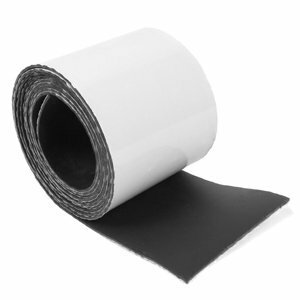 Soundproofing tape: Our two main types of soundproofing tape — Quiet Barrier™ and reinforced aluminum seal tape — are specially engineered to form a smooth, gap-free surface that prevents noise from penetrating through. Effectively soundproofing a room requires not only quality materials but also specialized installation products that work together to fully block out unwanted noise. At Soundproof Cow, you’ll find an extensive selection of soundproofing installation products that, combined with our high-quality line of foams and other materials, form the perfect solution for any commercial or DIY project.